"You can't run away from yourself," Linda Duncan's father tells her one warm September night in Los Angeles as he puts her on a jet for London. Spoiled, stubborn Linda refuses to admit that it was her own carelessness and laziness that landed her on the "flunk" list at South Palms High the spring before. She's sure that in a different environment people will appreciate her more, and Aunt Iris, her mother's twin sister, has often invited her to spend a year with them in the London suburb of Upper Hinchley. So, with the help of her mother, who had never before let them see how homesick she was for England, Linda overcomes her father's objections to the plan. Even before she is off the plane the next day, Linda begins to have uneasy suspicions that while London is as different as can be from Los Angeles, she still hasn't solved her problems. Her aunt and uncle and two cousins, Icy, a year older, and Roger, two years younger than herself, are kind and welcoming, but their quiet reserve makes them strange to her. She soon finds out that the Lady Phillipa Grammar School for Girls is just that--there are no boys. Furthermore, the students wear unbecoming uniforms and take their lessons most seriously. During her first difficult days, her main comforts are Mrs. Maxwell, her aunt's housekeeper, and Kath Hollister, a fellow schoolmate. Like Linda, Kath prefers to look on the lighter side of life, but still she is level-headed. 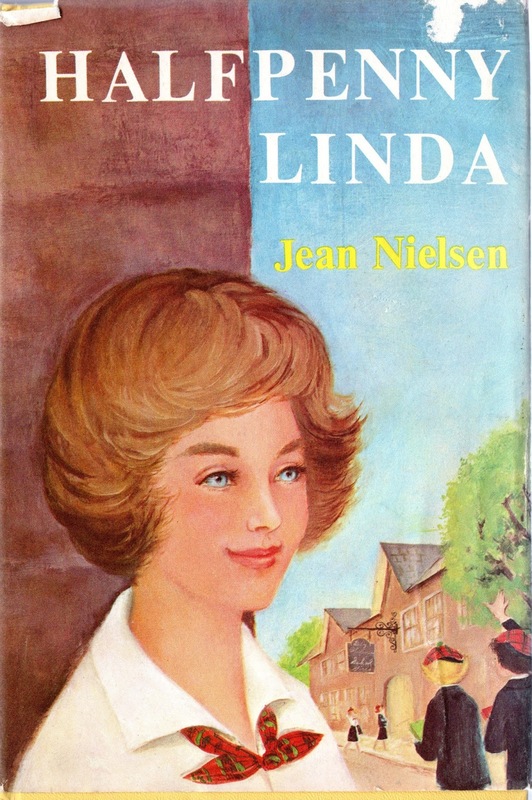 In spite of Kath's good-natured guidance, Linda makes one mistake after another until finally a row with her unsympathetic Maths teacher sends her storming to the American Embassy, determined to borrow money to fly home. An understanding embassy aide encourages her to stay and be an ambassador for her country, and after that things become somewhat easier for Linda. The old monuments of London cause her to take a real interest in the study of history. At a Christmas reception at the Embassy, she finally meets some boys--Andy and Jack, American students at Cambridge. She meets them again in Scotland where she is enjoying vacation with her newly met grandparents, and in Cornwall where she goes for the spring holidays. The high point comes when the boys extend invitations to Linda, Kath, and Icy, too, for May Week at Cambridge.